The sky is no longer the limit for Mr. Prodan’s AP European History classes. 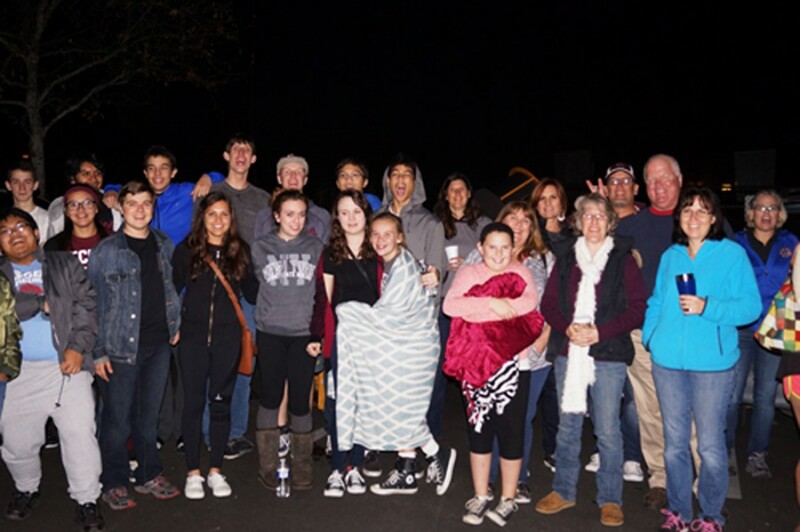 On Monday, Feb. 9, the AP Euro students and their families visited Charter after school hours from 7 to 8:30 p.m. to star-gaze with NASA Ambassador Jerry Hilburn, who was invited by Mr. Prodan. “Since we’ve been studying Galileo and the Scientific Revolution, I thought it’d be cool if students were able to see what Galileo saw and experienced,” AP Euro teacher Mr. Prodan said. The beginning of the night was mainly led by Hilburn, who works for the San Diego Astronomy Association (SDAA) Outreach program. Students looked at the stars and planets in the Milky Way, and even at another galaxy, he said. As he pointed out and described each section of the sky, Hilburn shared his knowledge of astronomy by giving a short lecture about the various stars, planets and galaxies. “Students have a neat opportunity to listen to an astronomer explain the basics of astronomy and show the students the planets that we don’t normally see,” ECHS Director Mr. Roner said, who was present at the event. Mr. Roner also stated how excited he was to look through the telescopes Hilburn had set up. One of the two was pointed at Jupiter for most of the night, and people were able to see the moons orbiting it. Students were able to take a view from the lens of an 8-inch Schmidt-Cassegrain Celestron with a 80-mm refractor on top, and a 20-inch Starmaster Dobsonian. The first-ever AP Euro stargazing event was a low-key night filled with learning and discussion, as well as a potluck of desserts, coffee, hot chocolate, and apple cider that was served in the lobby of the American Spirit Theater. The hope for the night was that it would potentially spark an interest and expose students to a different kind of science, according to Mr. Prodan. “Obviously there are other subjects beside history that are important, and I know a lot of kids enjoy science. Hopefully they were able to learn a lot more about astronomy and have a great time,” Mr. Prodan said.